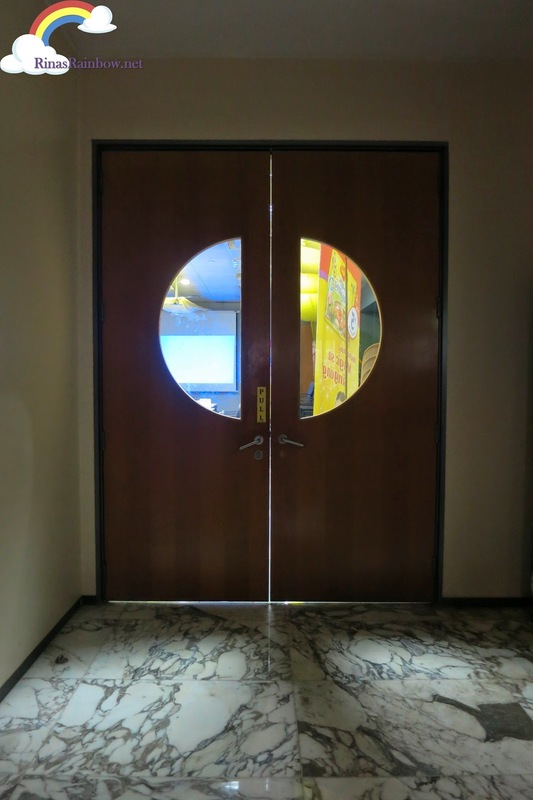 ....that we, the bloggers, weren't there to be spectators. We were there to cook as well! RED ALERT! Now I'm in trouble! The only recipes I really know by heart is frying eggs and canned goods. And tinola and arroz caldo that I haven't cooked in a while hahaha! 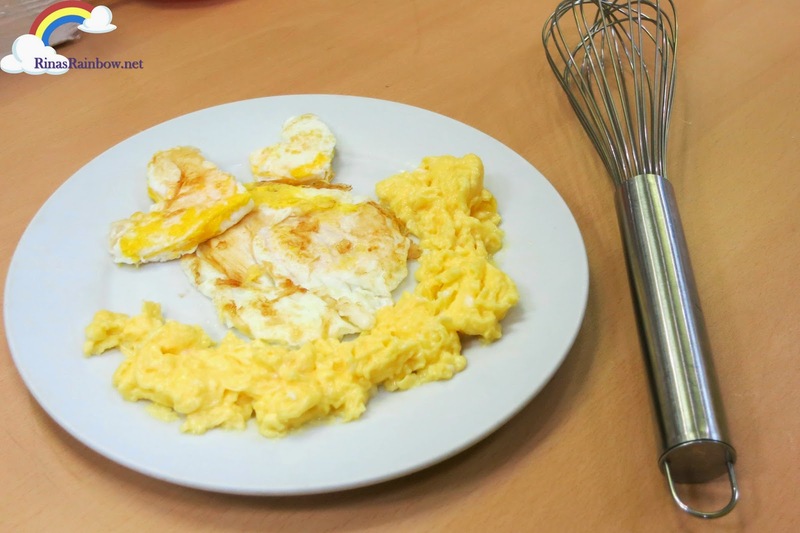 But I had to thank my lucky stars because we were told that we were going to cook just eggs! Yay! 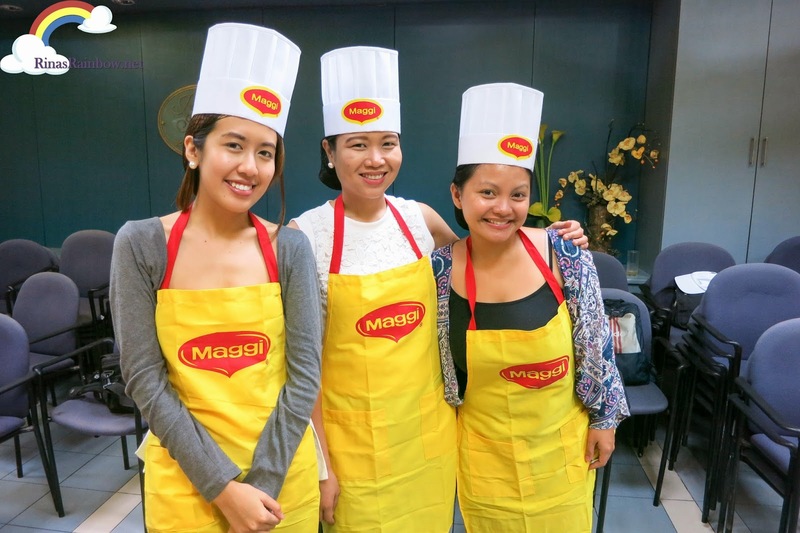 It's the Maggi Cook Dali seminar where we get to make simple but delicious dishes, made even more tasty by Maggi Magic Sarap! 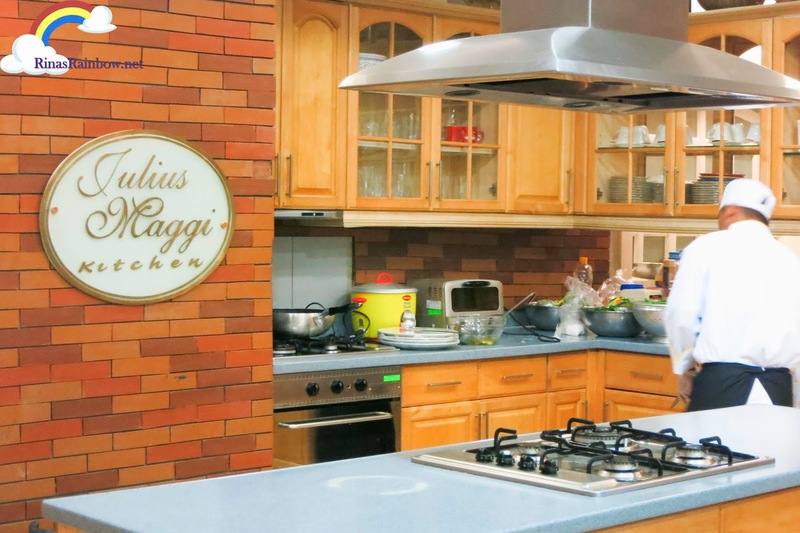 And not only will it make your dishes tasty, but by substituting Maggi Magic Sarap with salt, it actually helps lessen our consumption of salt. We all know how salt retains water when tnot taken in moderation. This leads to weight gain and even increased blood pressure. 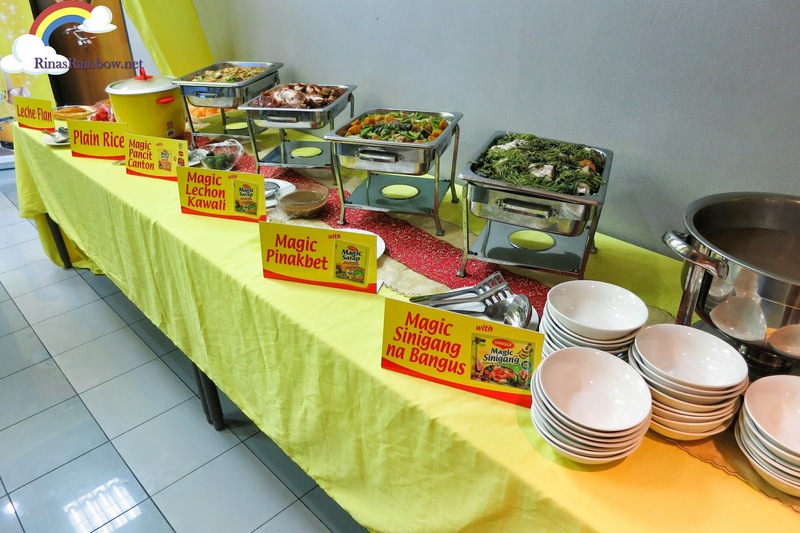 And so, in a way, Maggi Magic Sarap is actually a good nutritious buddy in the kitchen. At first I was worried that we were just going to cook simple sunny side ups or scrambled eggs. But then I saw these ingredients. I got intimidated again haha! 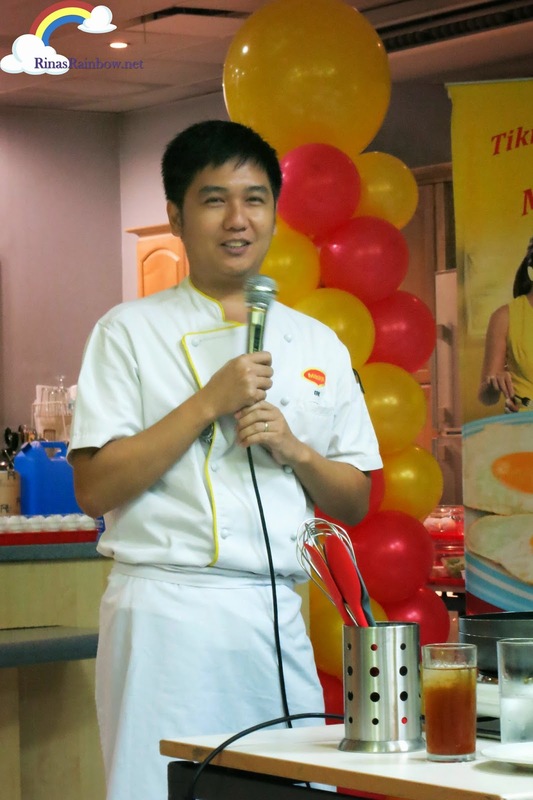 ...But Chef Eric Magtanong, our chef for the day, reassured us that it was going to be easy peasy! I also felt a lot better being team mates with The Soshal Network's Vivian Tan, because like me, she's also culinarily challenged haha! 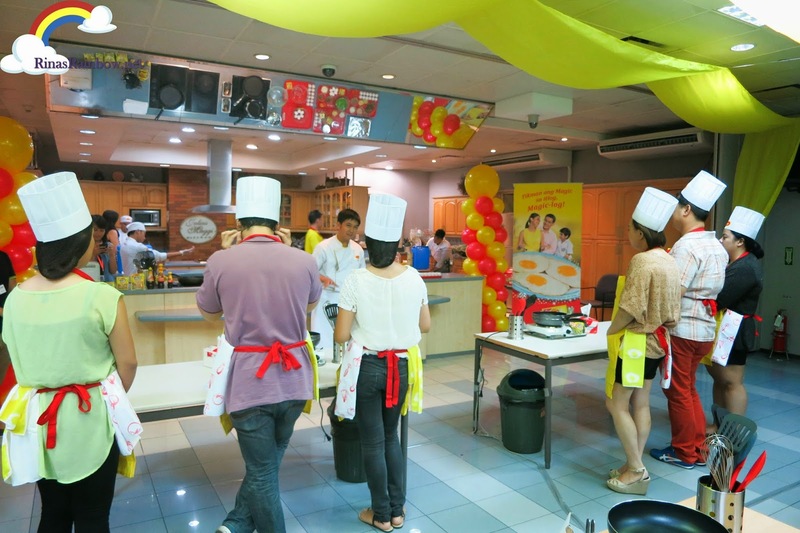 But since the teams were uneven, and there had to be three members per table, Trixie, who invited us to this event ( and who cooks, by the way) finally gave in to our pleading eyes and joined our team haha! YES! So first, Chef asked us to cook eggs as to how we usually cook them at home, and using salt. So behold! This is our teamwork masterpiece haha! Both fried and scrambled. I must say the heart eggs added a lovely touch hahaha! You might think this is pretty elementary, but I found it to be helpful. ....and most importantly, above all else, check the expiration date. That's your black and white proof that it's not about to spoil. He also recommends buying from the supermarket rather than the wet market because the ones from the wet market don't have any expiration date indicated on the carton. Makes sense. He also taught us the different ways of cooking eggs. The photo above would be over easy sunny side ups. 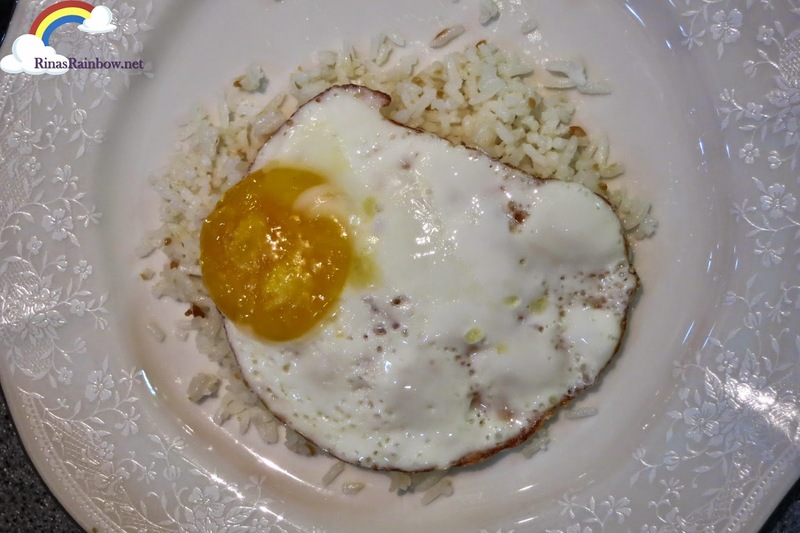 The yolk is still soft and wet and the white is cooked but not really toasty fried. I learned that when they say "fried egg", the yolk should still be wet, but a bit toasted and brown on the edges of the white part. 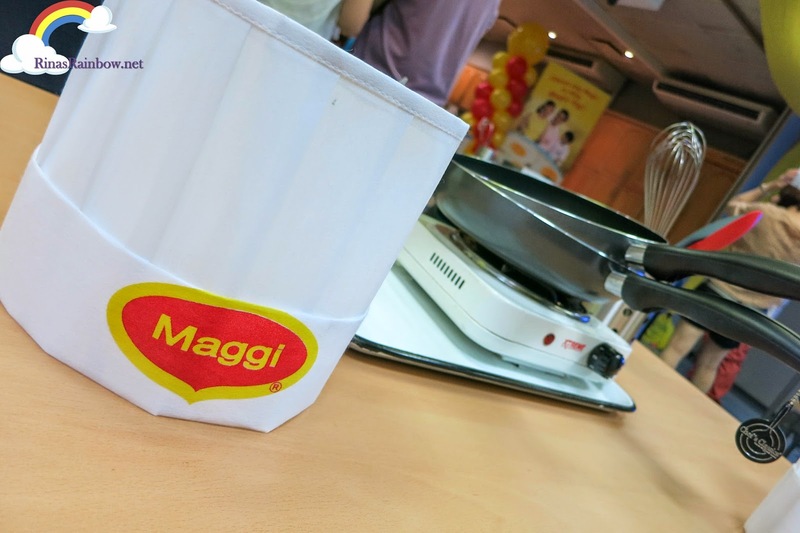 Seasoned with Maggi Magic Sarap, you can pair it with garlic rice and find that you might not need any viands at all. 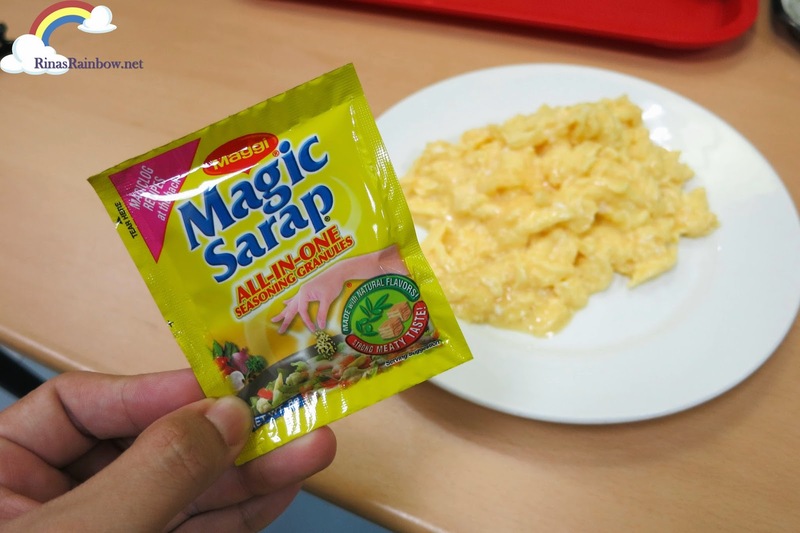 Scrambled eggs ala Maggi Magic Sarap! 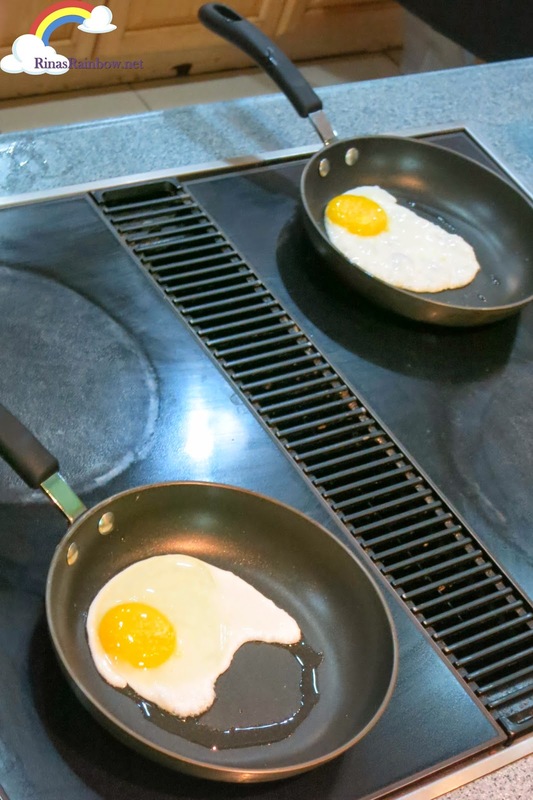 Keep mixing and scooping the egg from under in low flame until cooked to get that fluffy texture! Serve with bread and sprinkle with spring onions for that added color. 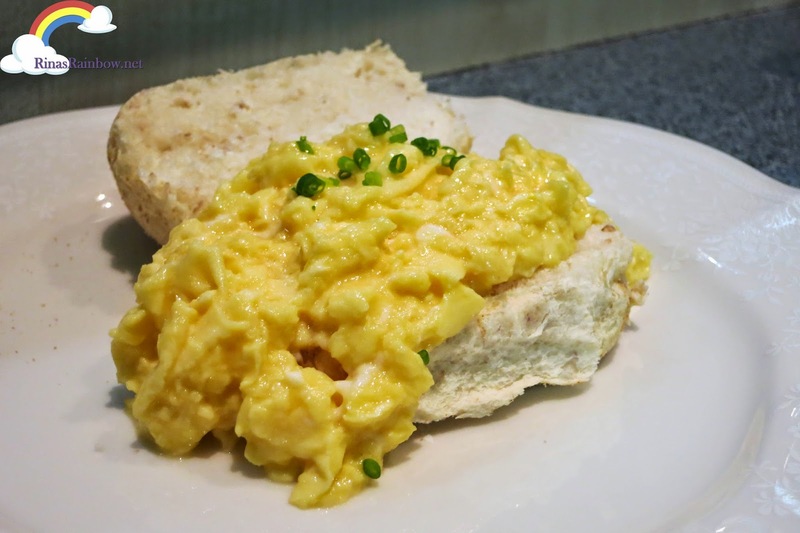 A simple to-go breakfast food that everyone will surely love! I know I would. 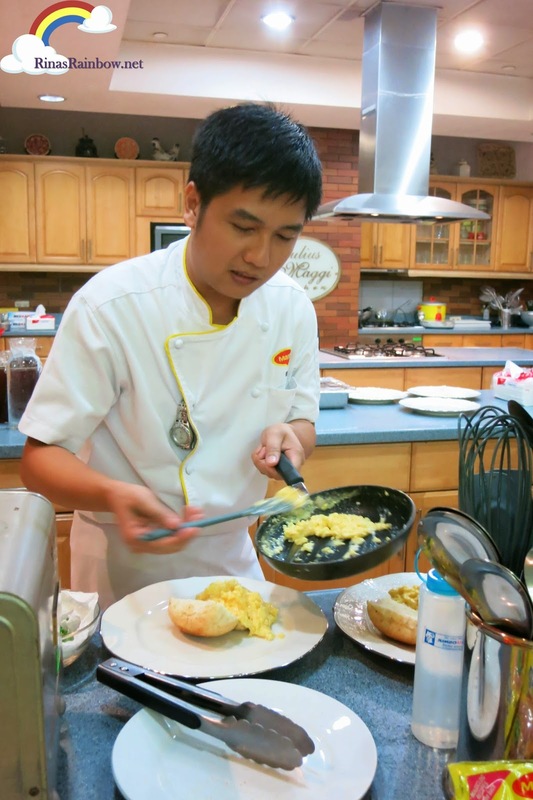 Then he made us taste our egg with salt, and the eggs with Maggi Magic Sarap, and you can really taste the difference. I've never had so much fun cooking delicious and nutritious eggs. 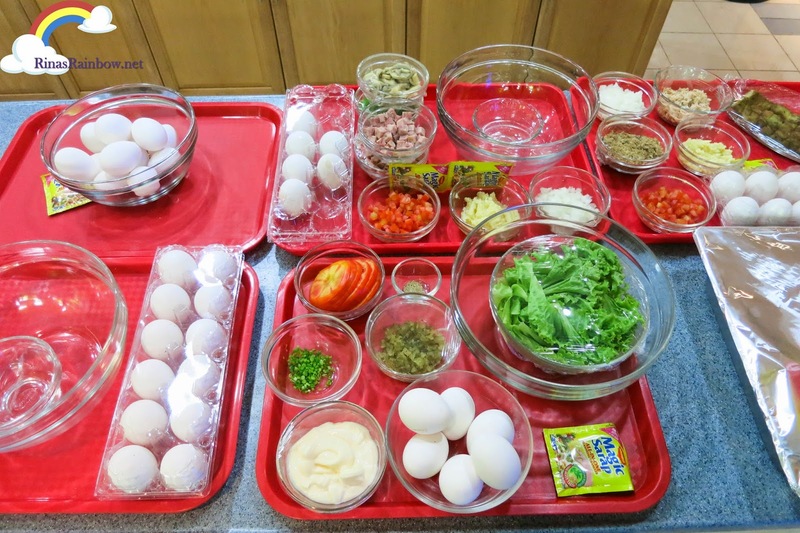 We actually learned 3 more egg recipes that I will share with you soon like types of nutritious omelet and a super yummy and nutritious egg salad! 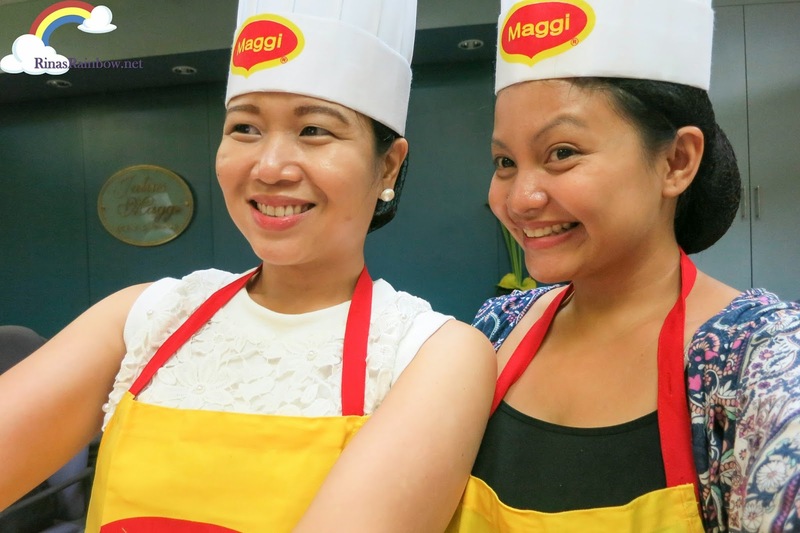 Thank you so much Trixie for inviting me and of course to Maggi to having us at the Maggi Cook Dali seminar! Now I can say my egg cooking skills leveled up, and have become more nutritious too! Did I say that already?